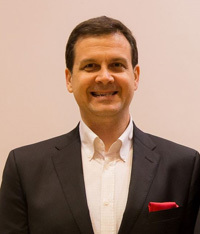 Professor Peter Vekilov, the Francqui International Professor 2014-2015, will give a series of lectures in the framework of a Class of Excellence. The inaugural lecture will focus on the mechanisms of nucleation of crystals in solution, an event that governs physiological and pathophysiological processes and laboratory and industrial procedures. The most exciting recent advance in this area is the multistep crystal nucleation mechanism, which displaces classical concepts in force for more than 100 years. The common theme of the other topics to be covered in this series is understanding of the properties of the solute molecules and their interaction with the solvent as a key to understanding and control of nucleation and growth of crystals in vitro and in vivo. Hematin crystallization as a part of malaria pathophysiology. The mechanism for insulin storage in crystals in vivo. The physical chemistry of sickle cell anemia. The two-step mechanism of nucleation of protein crystal. The molecular mechanisms of growth of crystals in solution. The properties of the protein-rich clusters and two-step nucleation of protein crystals.